The majority of individuals currently purchasing homes are millennial’s. This generation has found their careers and reached the stage in life where they are ready to buy a home. The average household income of a millennial has increased to $88,200. They are ready to buy their first home and are usually interested in upper-middle-class or middle-class neighborhoods. There is no doubt millennials are taking over the home ownership market. The situation is ideal because more and more of the baby boomer generation have started downsizing, retiring or want to sell a home. 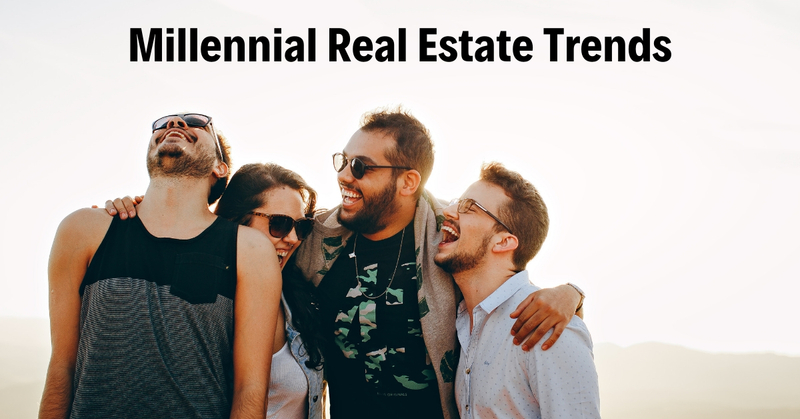 The prediction of millennials is they will be leading the pack by the end of 2019 in the number of mortgages. They are expected to account for approximately 45 percent of the market. The Gen Xers will follow at 37 percent, with just 17 percent being held by the baby boomers. This means the Realtors must look to millennials for the bulk of their sales. It is critical not to underestimate the power of this generation and to understand the buyers. Millennials are conducting research prior to shopping for a home and they are internet savvy. They are interested in easy shopping online. Millennials begin their searches for homes on the web. This means Realtors must ensure they have the best possible image online so they can make a great impression. They should make an investment in high-quality photographs and invest in aerial footage using a drone whenever possible. Square footage may be important, but the main concern of millennials are the usability and sustainability of every space. The space must be clean, open and all junk removed so they can visualize their future in the home without the owner’s stuff getting in the way. The location is just as important as the space. A large portion of millennials want to purchase a home in an 18-hour city. They want to live in an area that provides both a reasonable cost of living and exciting big city life. Millennials tend to be looking for areas in walking distance to entertainment and public transit. Millennials were born during the time of Amazon Prime, advanced technology and a low maintenance lifestyle. They want smart appliances and a home that is energy efficient. If the home does not qualify, they will either look somewhere else or offer less money so they can upgrade once they purchase the home. Any potential homeowner interested in a single family home with three bedrooms in the suburbs is going to have a lot of competition. This may require prioritizing differently to obtain a dream home. The buyer must not only know what they want but what they consider a necessity. If the purchaser is a couple, they must come to an agreement on the essentials. This can be accomplished by combining individual lists and using an agent to help conduct the home search. The odds of finding the perfect home decrease when the list of essentials is too lengthy. A professional local Realtor familiar with the area, the current pricing, and exactly what IS and IS NOT available. They also know what is about to become available at any given time. They know how to show a home to achieve the best possible results and what to do to match a potential buyer with the right home. Hiring an experienced professional makes the search for a home easier and faster. Professional real estate agents were used by more than ninety percent of all millennial’s who purchased a home last year. This generation believes it is much easier to find what they want with help than to attempt it on their own. The bottom line is, are Realtors familiar with millennials and what they want, they are headed straight for success.